Beth was diagnosed with MS in 1995, and while in the United States there hasn’t been much progress forward, the rest of the world has not stood still in the fight against this disease. Although this comes at a cost, and a hefty one at that, there is now some hope with treatment. 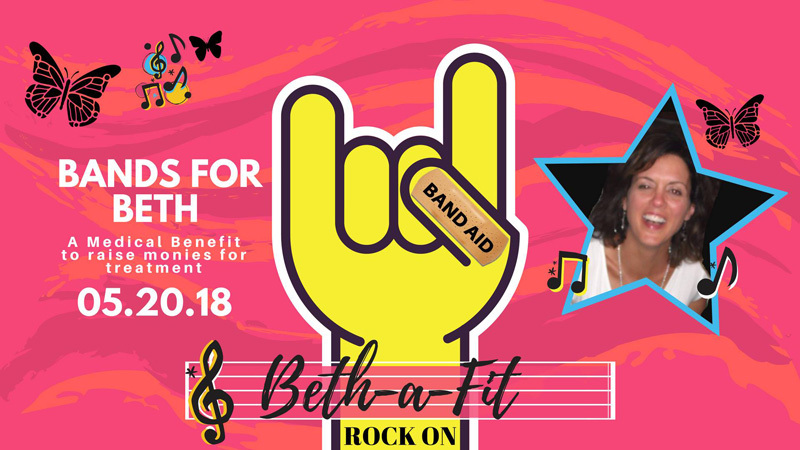 We ask that you please join us on Sunday, May 20th at Penfield’s iconic establishment, TP’s Irish Pub to help Beth reach her dream of treatment. We’re currently working on our lineup, but here are just a few of the names performing Northside Johnny The Breakfast Club 80’s Tribute Guy Smiley – Rochester Cover Band and many many more. The House of Guitars is truly an iconic force in Rochester, New York, and their continued local support for all things “Band related” can not be surpassed. Please join us in a huge round of applause for The Great House of Guitars! They have generously offered to supply the amps & drum kits for the entire show!